My relationship with horror games has been quite a complicated one. I’ve always been fascinated by the gross, contorted monsters in series such as Resident Evil, Forbidden Siren and Silent Hill, yet I was too scared to even put the discs in my games consoles. Instead, I would pore over explanations of the plot and peruse fan sites and forum posts, trying to squeeze out as much information as I could about these absurd worlds without actually taking a character’s fate into my trembling hands. I’m finally breaking through my fear and chipping away at this considerable horror backlog. And when I get around to Silent Hill 2 — one of the survival horror genre’s all-time classics – I know which ending I’m looking forward to the most: Maria’s. I came across a GameFAQs forum post a few weeks ago arguing over whether the “Leave” or “In Water” ending was the most satisfying. For the uninitiated, in “Leave,” James walks away from the town of Silent Hill, having forgiven himself for mercy killing his wife and then embarks toward a new life, potentially with a new daughter in the form of Laura. In “In Water,” James cannot forgive himself for what was an act spawned from disgust towards his terminally ill wife, Mary, and he drives into the lake with her body in the trunk of his car to commit suicide. These endings represent a fairly clear dichotomy – James as a benevolent spouse who blames himself too much and learns self-forgiveness, and James as an egotistical monster who realises he is irredeemable and wants to prevent himself from doing more harm. The first option attempts to draw a line under James’ traumatic experience in Silent Hill, yet we know that there is little chance James can go on to live a normal life (Laura perhaps can, since she is unable to see the “monsters” in Silent Hill because of her pure soul). The second option doesn’t just draw a line, it completely severs the story at the root, with James deciding that the events of the past are inescapable for him. In a way, this is more realistic, because his visions of the town of Silent Hill were so distressing and corrupted that he will never see life the same way again. The progression from an amnesiac state of trying to find his wife, to learning that he is responsible for her disappearance and ultimate death, is a dark but natural development by the plot. The third option on a first-time playthrough – the “Maria” ending – is perhaps not treated as a fully-fledged ending because it has a typical “bad” ending nature to it. It is so obvious to the player that going off with Maria, a manifestation of Mary who is more seductive, is not a good idea that it seems like a traditional dead end, rather than a true finale to the game. But this ending allows Silent Hill 2 to play out like a fable and it shows off James’ weakness more than any other ending (though “Rebirth” does a good job of showing James at his most desperate). In the “Maria” ending, James leaves Silent Hill with Maria to pick up where he left off with Mary. And hey, didn’t Harry basically do this with the new Cheryl in the first Silent Hill game? So why couldn’t this work out for him? 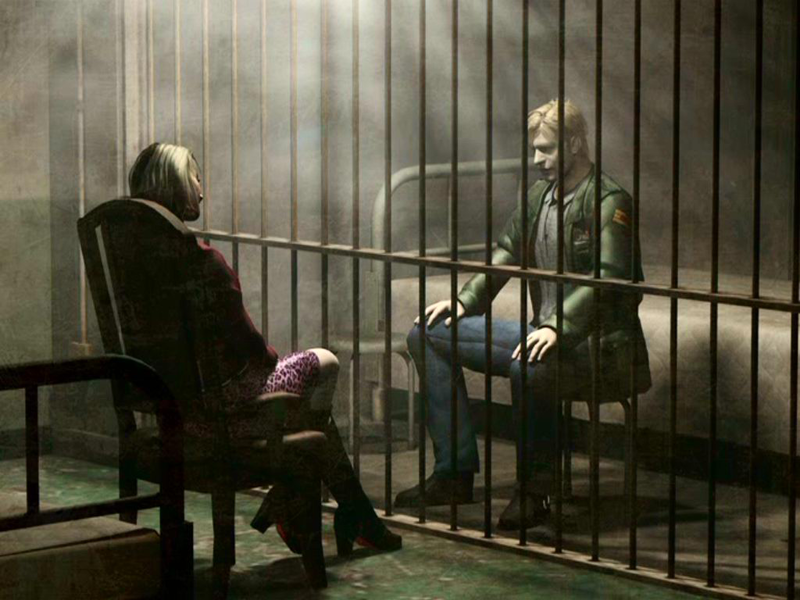 On the surface, he has what he sought to get by visiting Silent Hill – he found at least some version of his lost wife. It’s when Maria coughs, heavily hinting that history is about to repeat itself, that things get interesting. The “Maria” ending is the one where James learns nothing from his time in Silent Hill. It’s almost like a parable for the weakness of man, blinded by beauty and sexual urges to the point that even the monsters and traumatic experiences of Silent Hill fade into the background. I love the idea of James being stuck in a cycle: perhaps he ends up coming back to Silent Hill every couple of years, once Maria turns back into Mary and is killed by his hands once again. 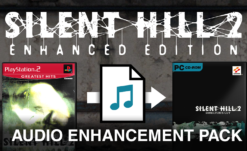 And it’s not all that wrong of an ending: if you were stuck in the torment of Silent Hill, wouldn’t you want to latch on to the most convenient and alluring glimmer of hope you could find? The “Maria” ending also depicts James not as an outright evil man, but as a flawed one. This is a departure from the other PS1-2 Silent Hill games, which treat their main character as good or largely neutral, though interestingly enough, both Homecoming and Downpour toy with this idea. Perfect people don’t end up in the purgatory-esque town of Silent Hill, yet fully malevolent people are not given the chance to redeem themselves — they’re damned in a sense. It’s interesting to think of Silent Hill as not only a manifestation of people’s nightmares, but also as some moral testing ground, or a place for people to exorcise their demons. The idea of James being a burdened but loving husband who just snaps doesn’t fit with everyone else who is in Silent Hill. Eddie reacted poorly to bullying incidents and turned violent, and is clearly manifesting his own self-hate and guilt in the town. Angela feels a lot of shame and trauma from childhood abuse, misplaced feelings that she is ultimately unable to process. Laura is there not because of any acts she has committed, but because of her link to James through Mary and her knowledge of Mary’s misery prior to her death. They are all shouldering burdens and trying to learn how to deal with crippling emotions, and most visitors to Silent Hill fail to do so. It makes sense that James would also fail to pass the test that Silent Hill stealthily sets him through Maria. The Born From a Wish extra content was disliked by some fans for suggesting that Maria is an independent being with her own thoughts, but I like the idea of Maria trying to piece together who she is and not realising that she is just a spectre of Mary with no other purpose. This makes me think of the Blade Runner series and how the replicants do not know that they are replicants. To be a test for James, one that he ultimately fails, it’s important for Maria to keep up the pretense. The best way to ensure that she does maintain this facade is if she herself doesn’t know who she really is. 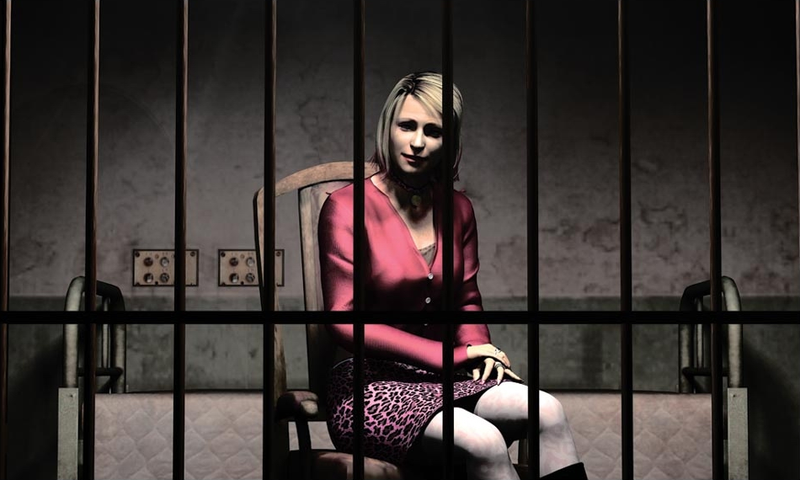 The character of Maria is one of the more interesting components of Silent Hill because she provides a choice to James – learn from his mistake or commit it once again. It is the only ending that really engages with his journey and focuses less on whether James forgives himself, because really, it’s implausible that James could ever come to terms with what he did to the woman he loved. I think that Silent Hill 2 is best served by an intensely sad ending, which “In Water” offers up in spades. But the sting in the tail of the “Maria” ending elevates Silent Hill 2 from a moving mystery narrative to a modern fable about the dangers of superficial beauty.